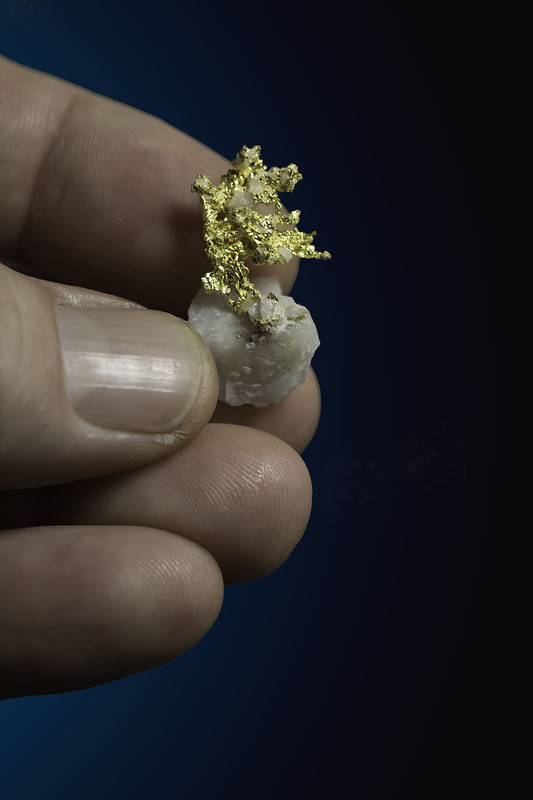 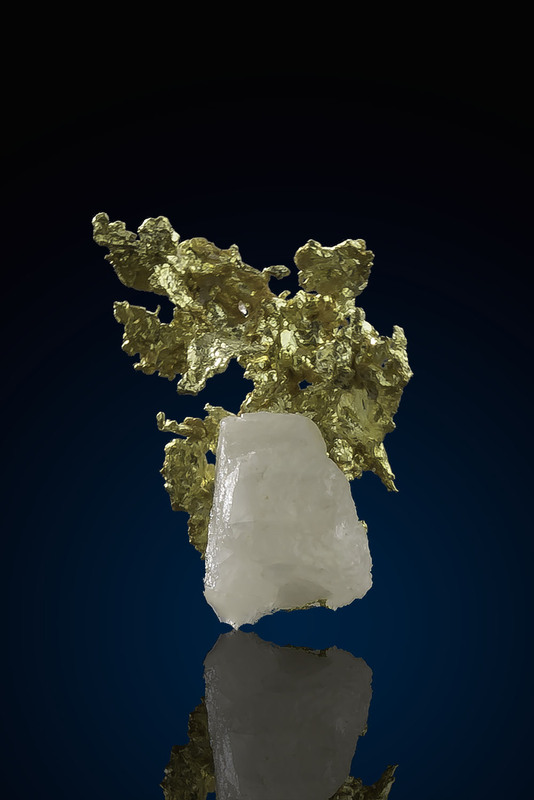 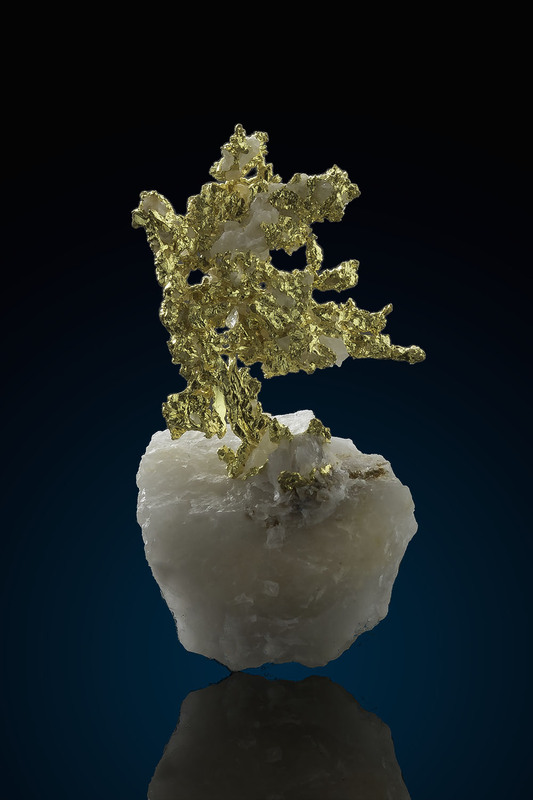 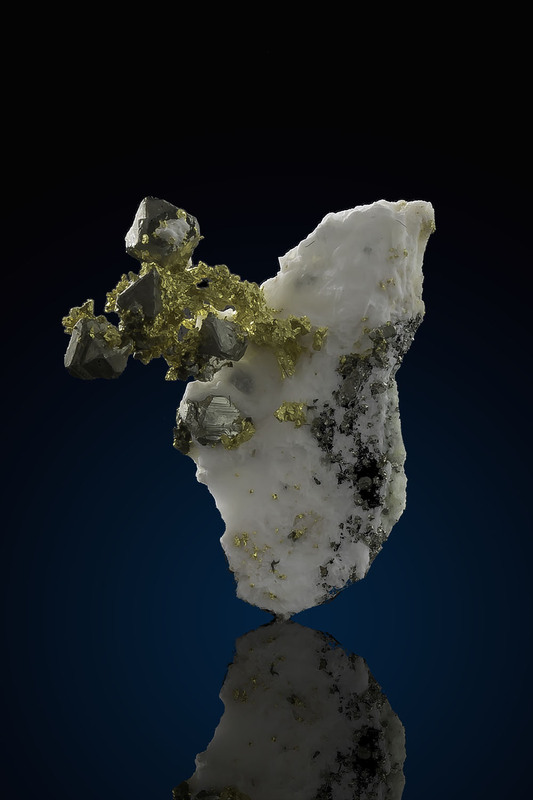 One of the best thumbnail specimens I've seen from the famous Eagles Nest Gold Mine in Placer county, California. 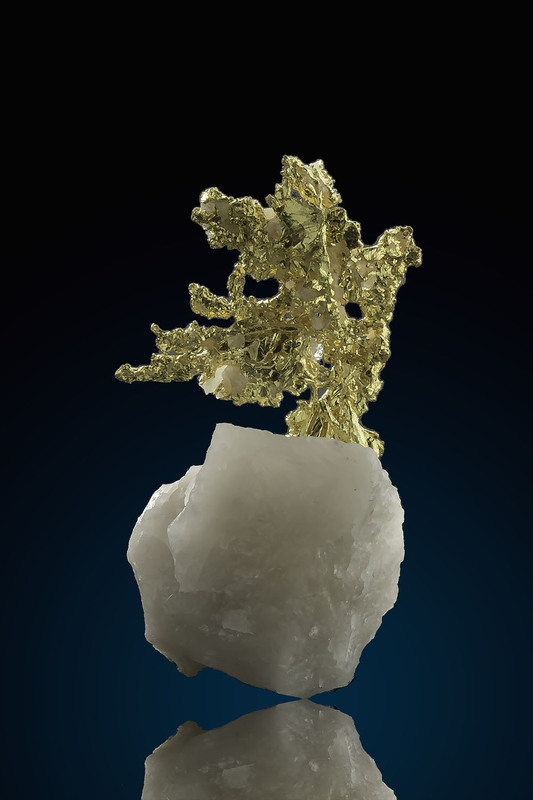 Brilliant white quartz with a tall "spray" of bright yellow gold jetting out from the top. 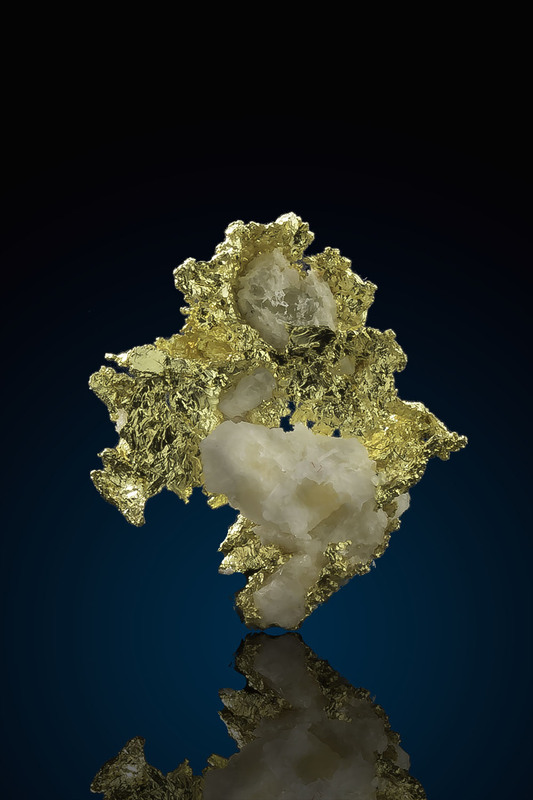 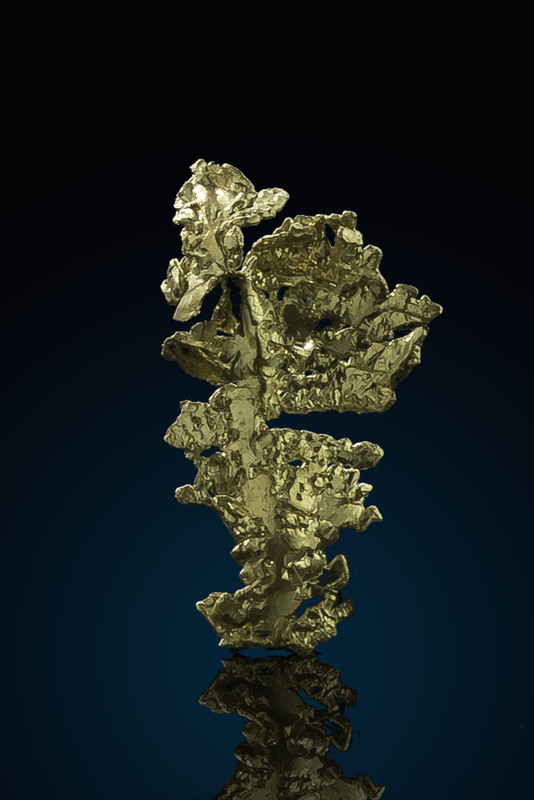 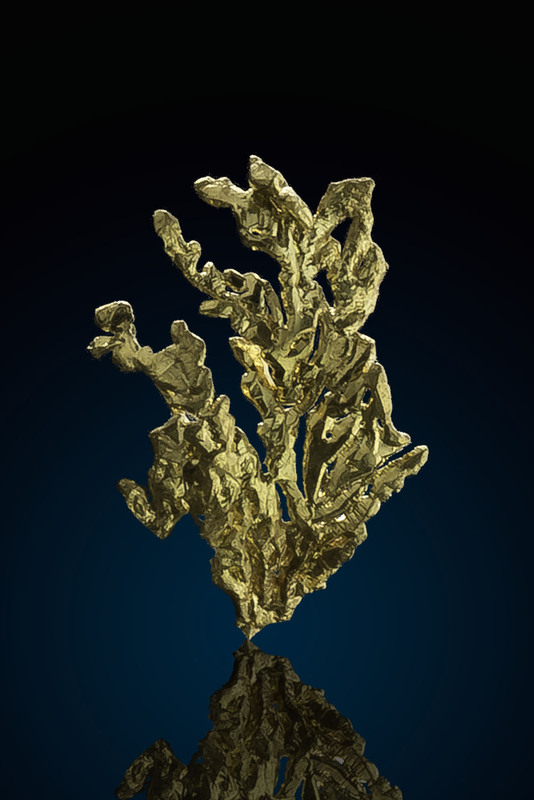 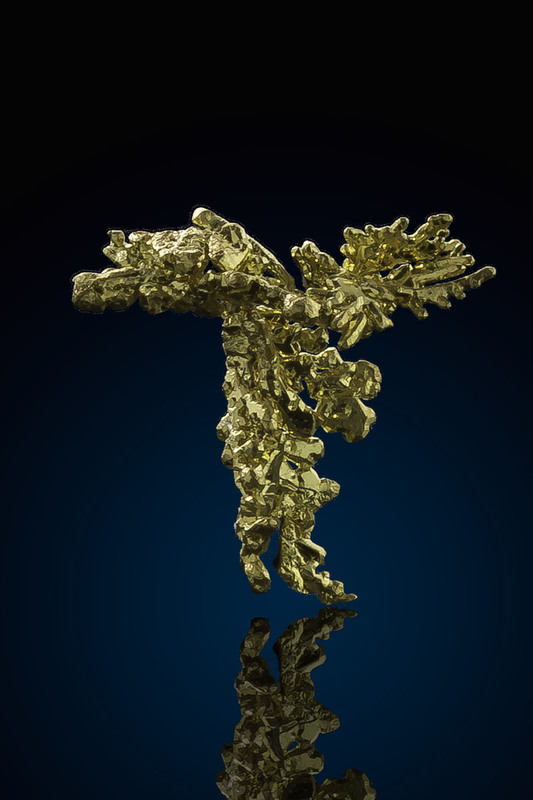 The Eagles Nest Gold Mine is one of the most famous California gold mines and produced many world class gold crystal specimens during it's time in operation.